EUSTIS — A hunter who had been pursuing deer in the woods just a day earlier used his boat Sunday to save a drowning buck from a freezing lake. 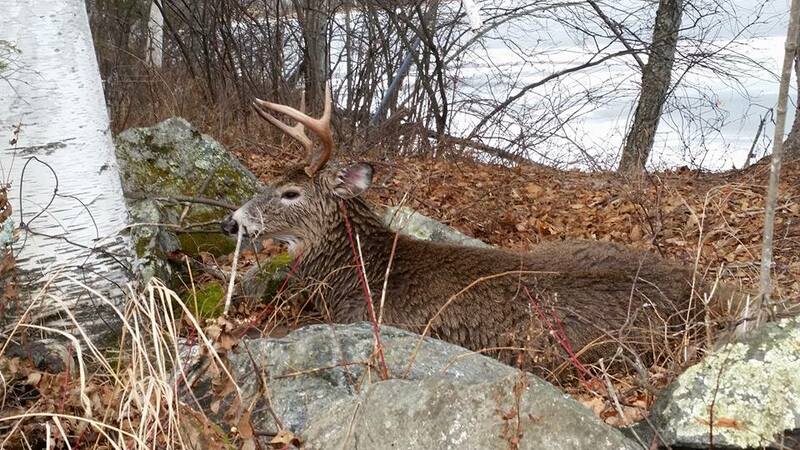 The Bangor Daily News reports Justin Wyman saw the struggling buck in Flagstaff Lake in Eustis on Sunday. The six-point buck had fallen through thin ice and appeared to be about 300 yards from the shore. Wyman, of Eustis, offered his boat to game wardens to try to save the buck. 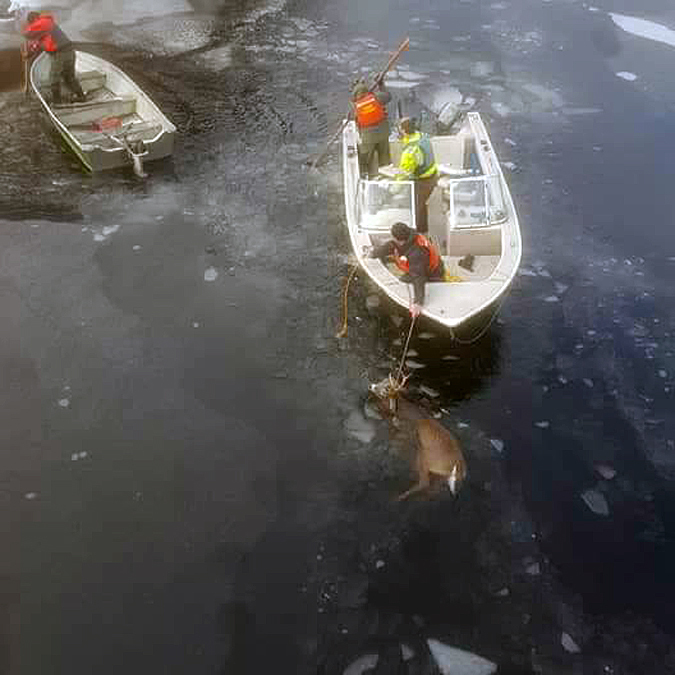 After cutting through thicker ice close to shore to launch the boat and get out to the deer, the men got some rope around the buck’s antlers and slowly led it back to the boat landing, where they eventually coaxed the exhausted buck onto land. Wyman said the buck rested for quite a while and later took off into the woods. Wyman is an avid deer hunter and spent the day hunting Saturday, the last day of the deer hunting season. Wiegman said it’s not uncommon for deer to go through the ice, but normally they aren’t able to get the deer out in time. 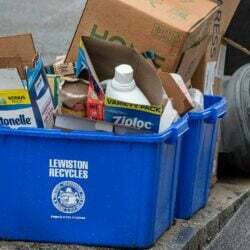 “The most unusual part is that we had conditions that allowed us to help. A lot of times the ice is too dangerous,” he said.